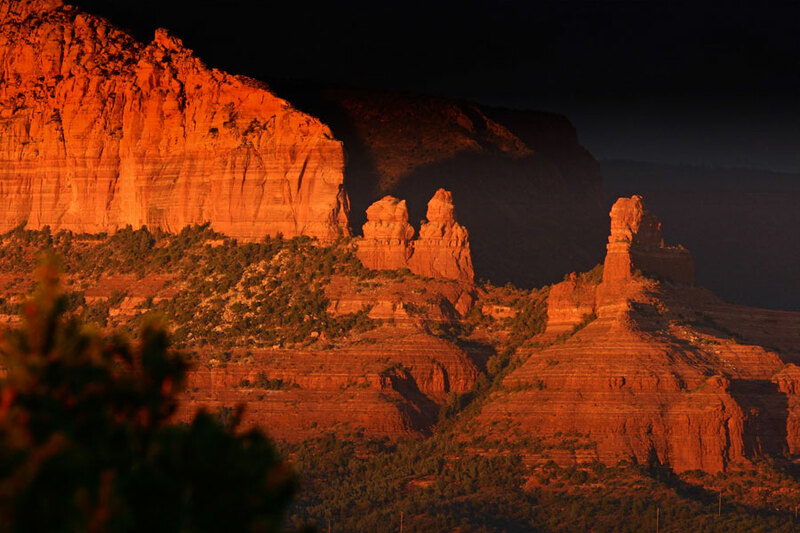 The word floats over the hills and mesas on a whisperwind leaving no doubt in the travelers mind, you have found paradise. 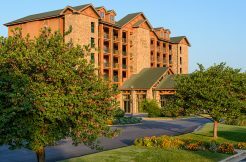 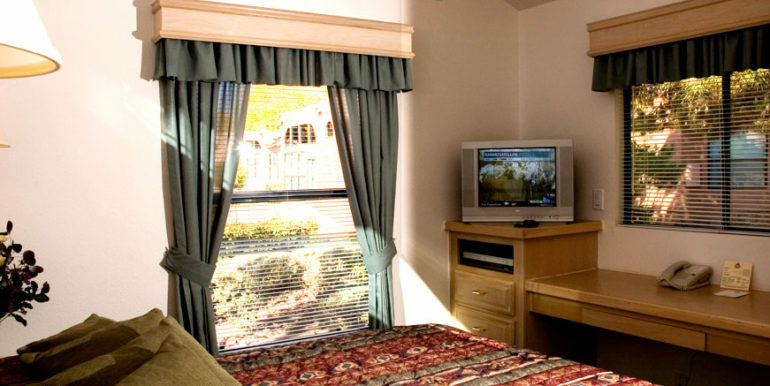 We’re one of the best values in America offering families an affordable entry to vacation resort ownership. 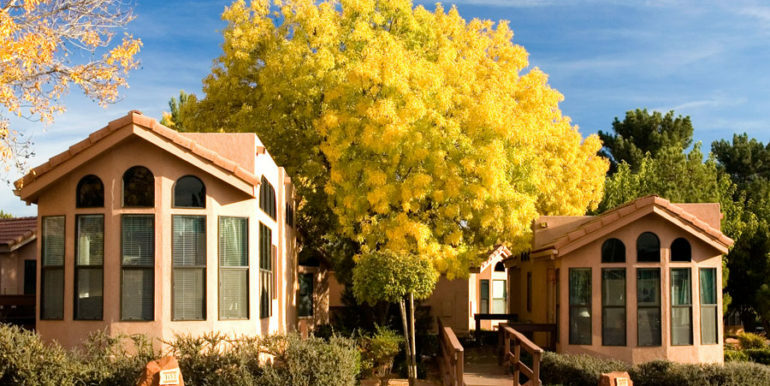 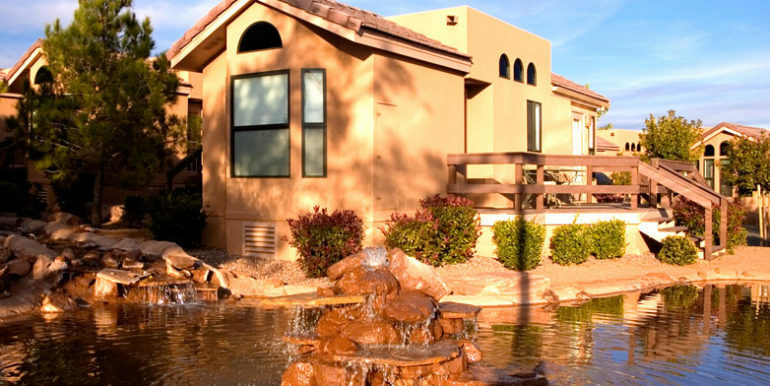 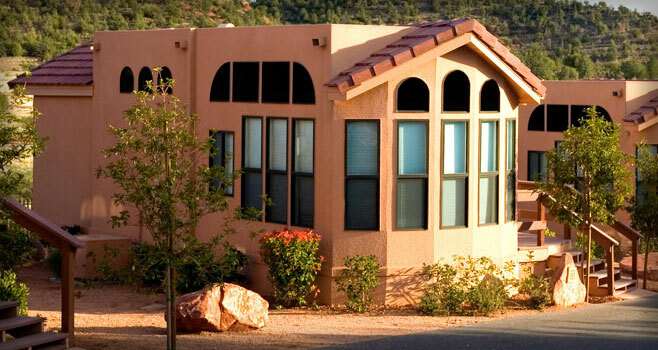 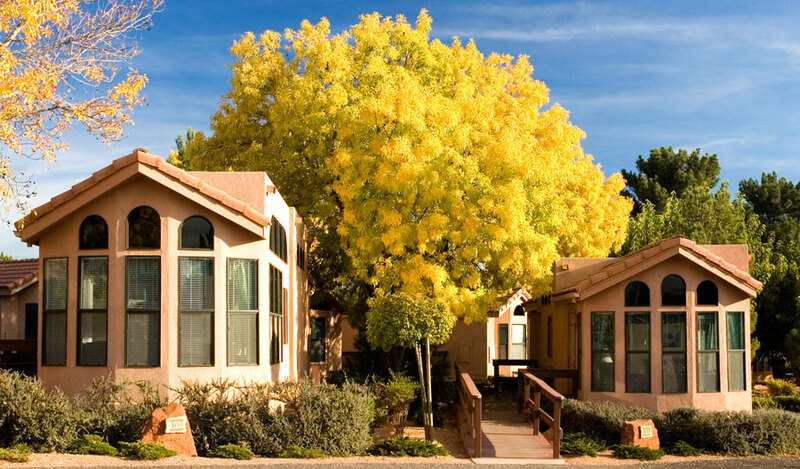 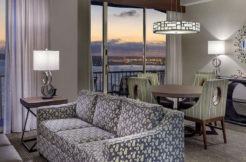 Utilizing state of the art methods of modular construction, and adopting modern, innovative techniques, Sedona Pines is able to bring luxurious vacation housing design to the market place, for one-half of the price of many competitive vacation ownership options. 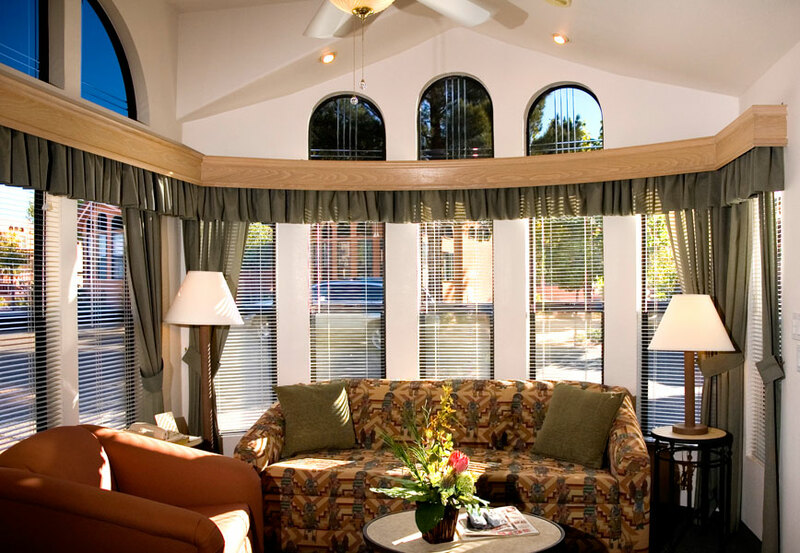 Corian counter-tops, lush carpeting, Sedona styled furniture, two-person baths, and vaulted ceilings, are just a few of the features which bring an unexpected level of opulence to your vacation home at the Sedona Pines Resort. 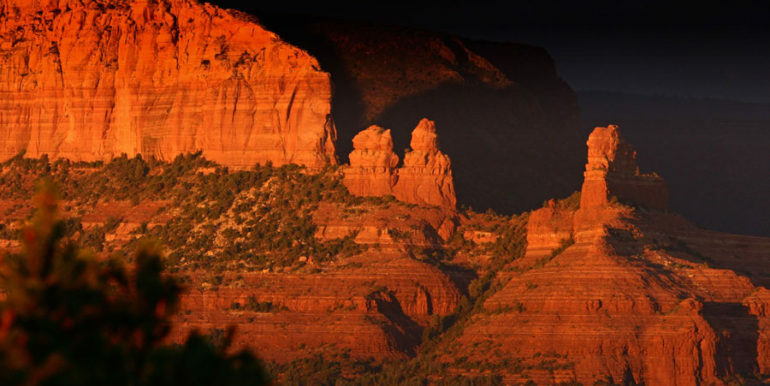 These have become the watch-words of the Sedona Pines Lifestyle. 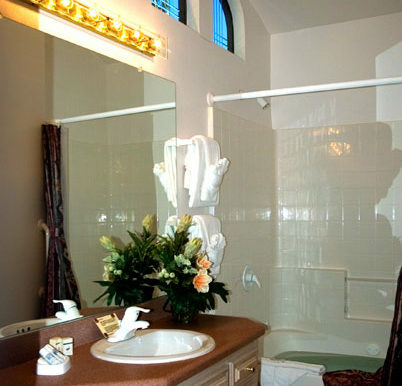 Elegance has never been so affordable. 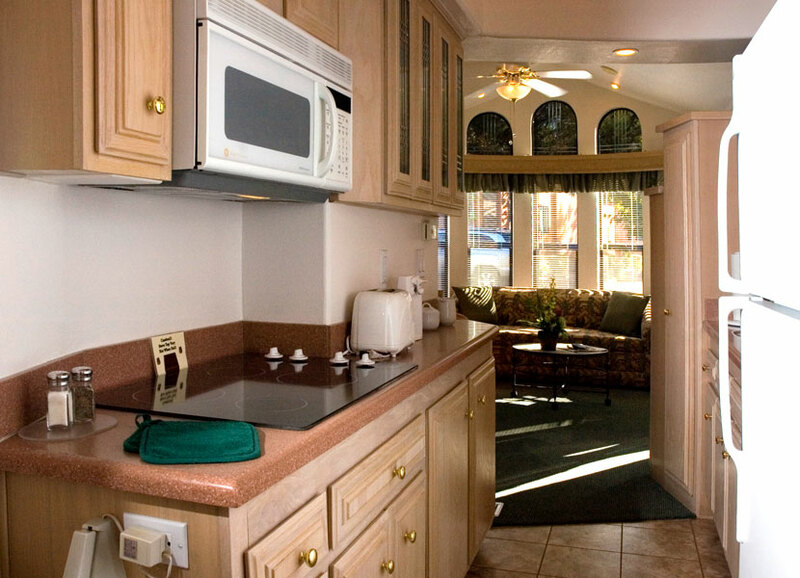 Each cottage has a fully equipped kitchen, so you can stock up your refrigerator with all of your favorite goodies! 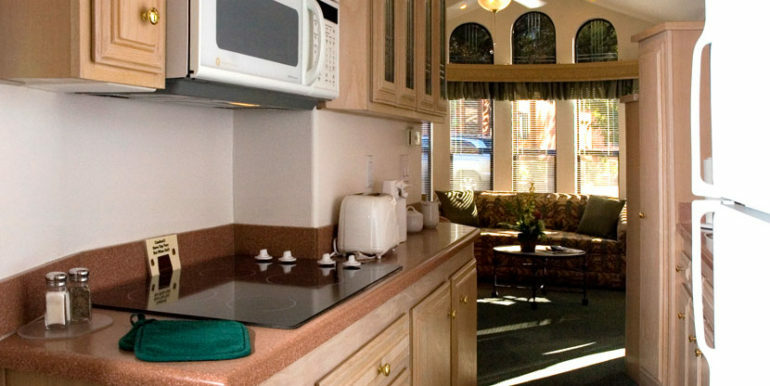 Complete from the convection oven, right down to the six serving dinnerware set. 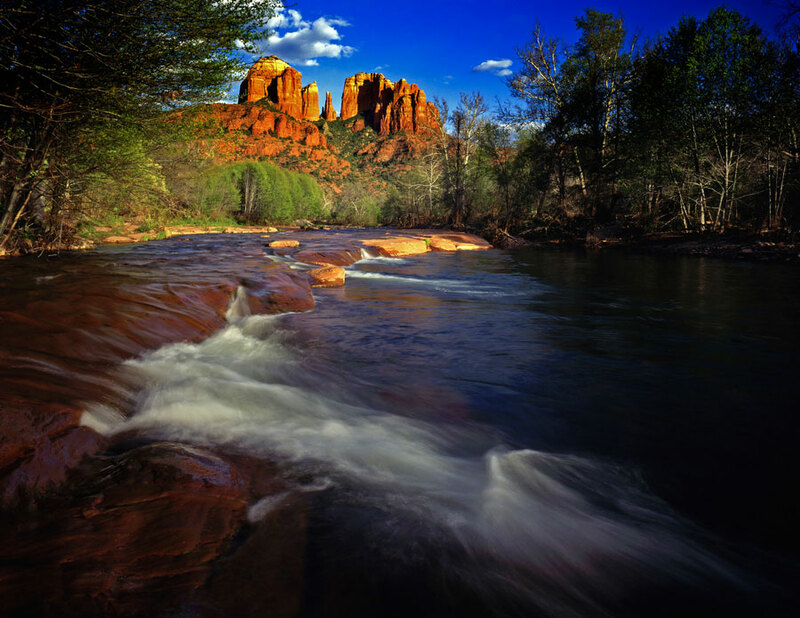 Nothing has been forgotten. 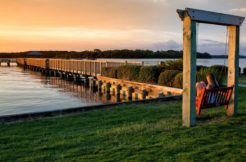 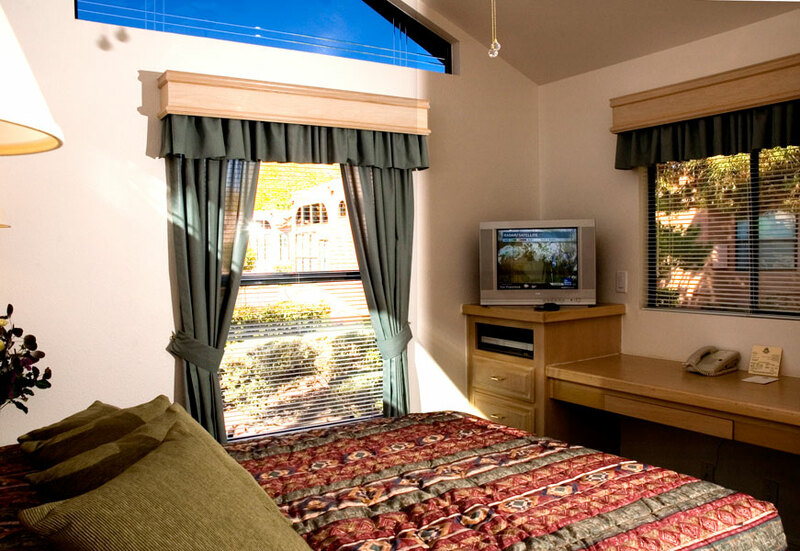 Dishwasher and blender, teakettle and measuring spoons… here you’ll find all of the necessities that make the difference between “camping out” at a motel, and basking in the convenience, comfort and luxury of a home away from home. 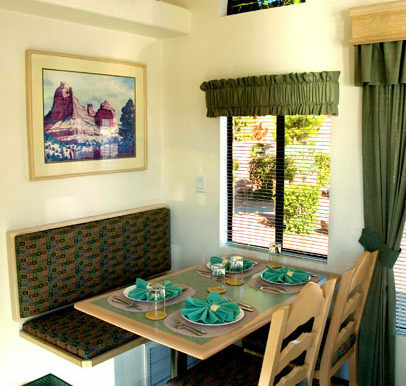 Whether you’ve ordered out, or created a your own culinary masterpiece in the fully appointed kitchen, you’ll feast comfortably in your luxury dining area. 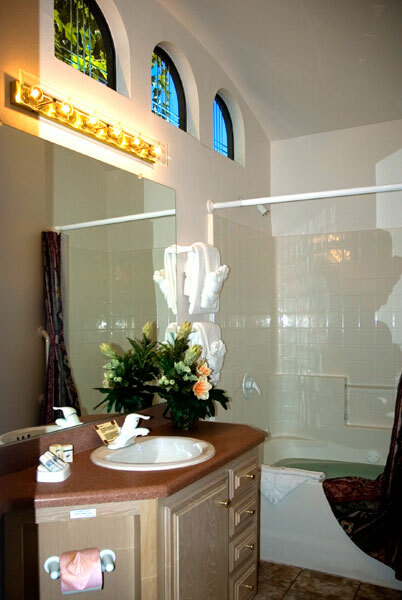 Vaulted ceilings, recessed lighting, and a lovely view of one of the resort fountains or creeks. 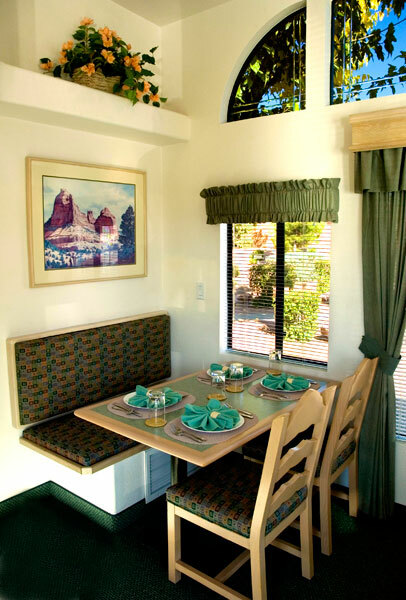 A lavish treat for the eyes to complement your meal. 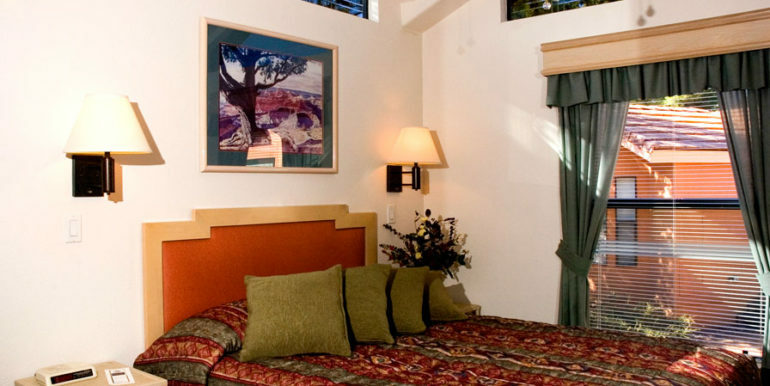 These are the words that will come to mind as you enter your beautiful cottage master-bedroom. 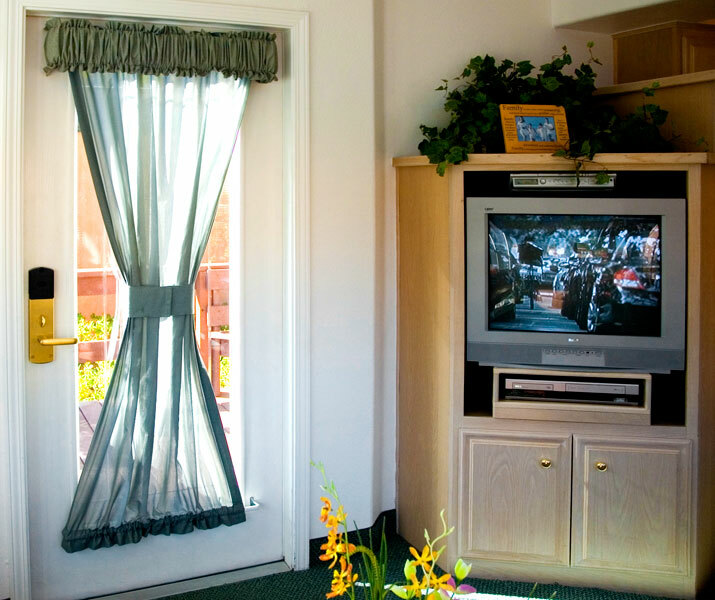 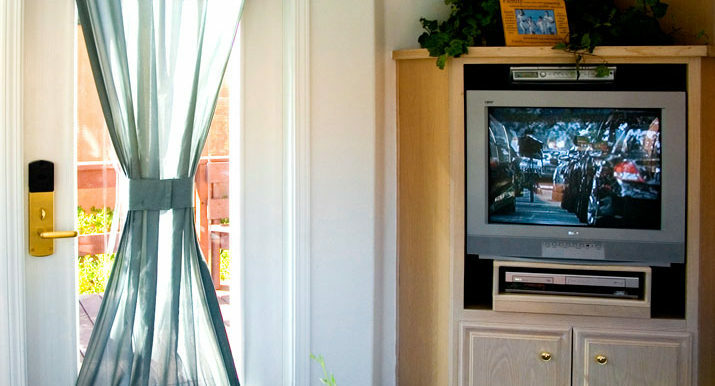 22″ LCD TV with remote, mirrored closets, and of course, an alarm clock for those early morning appointments with nature! 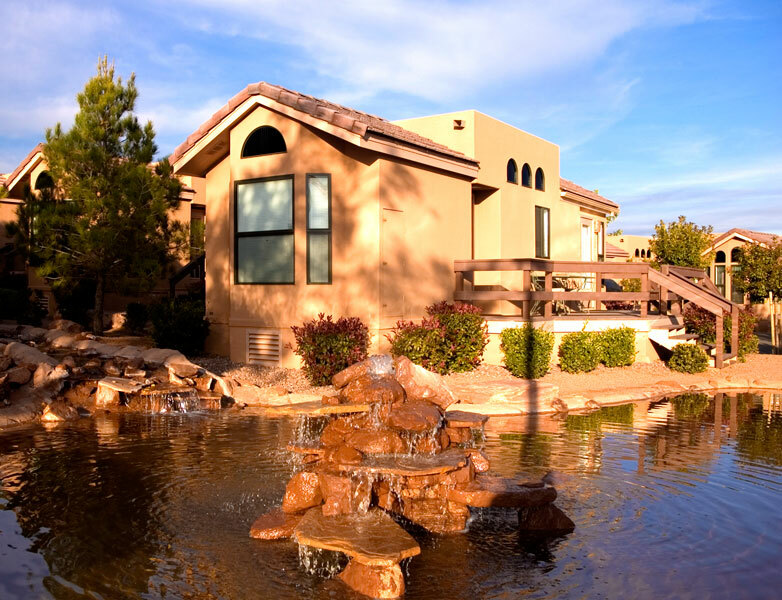 You’ll find the tranquility of the murmuring fountains are the perfect way to drift off to sleep. 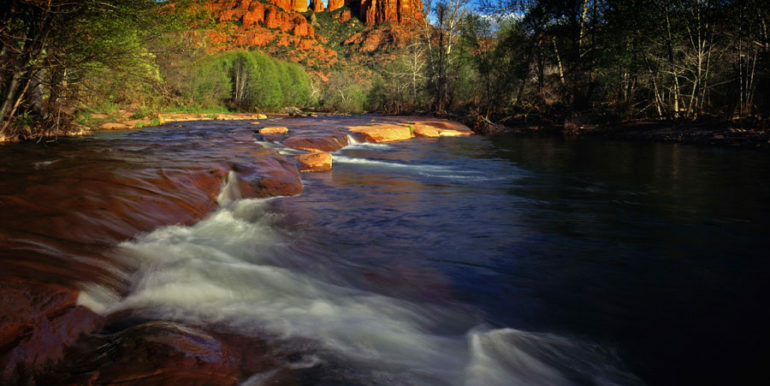 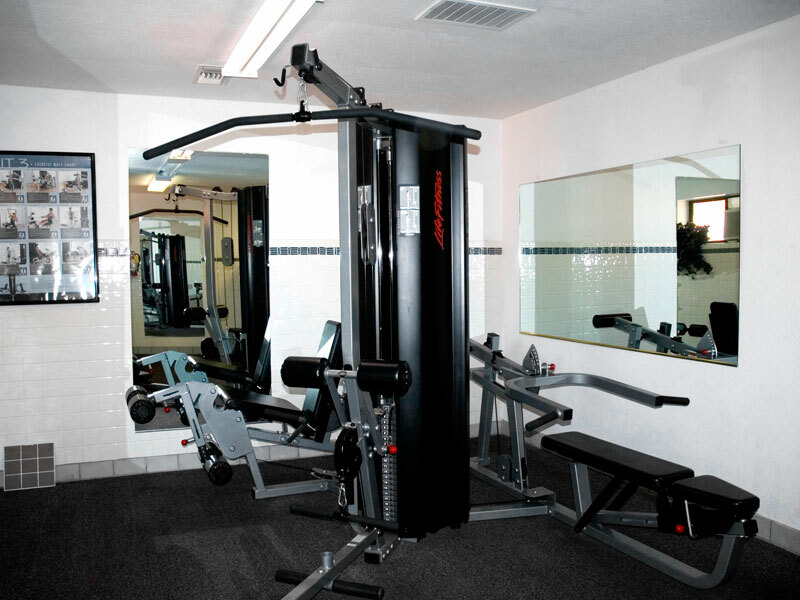 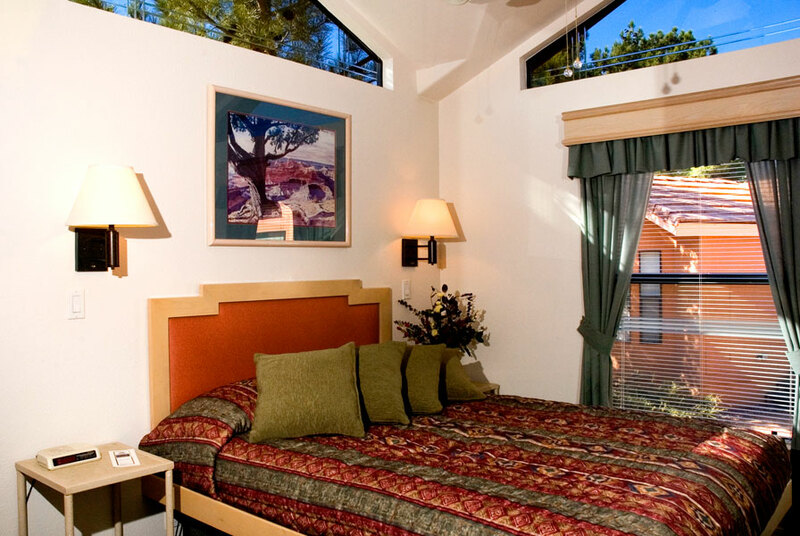 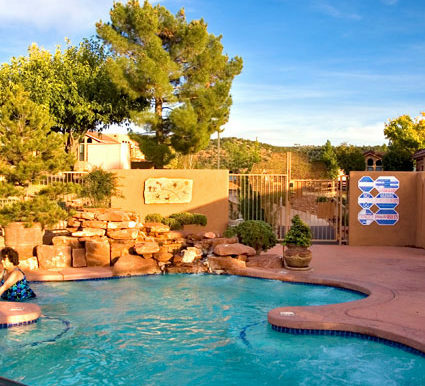 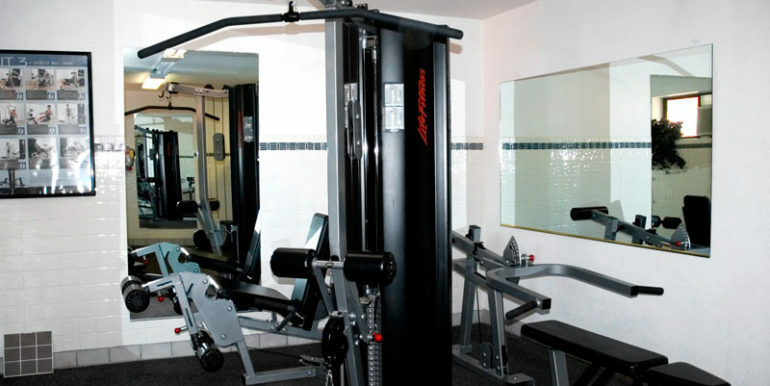 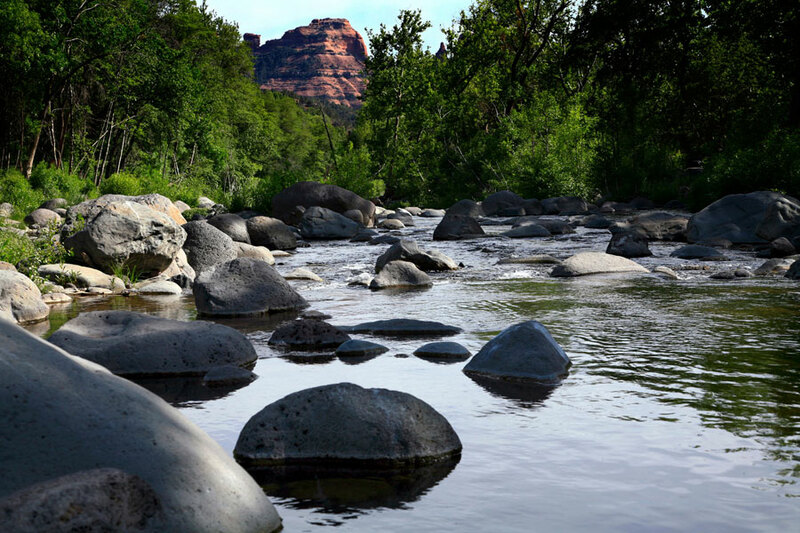 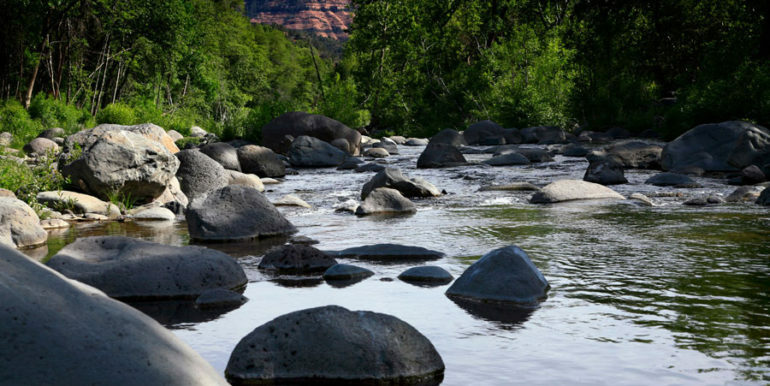 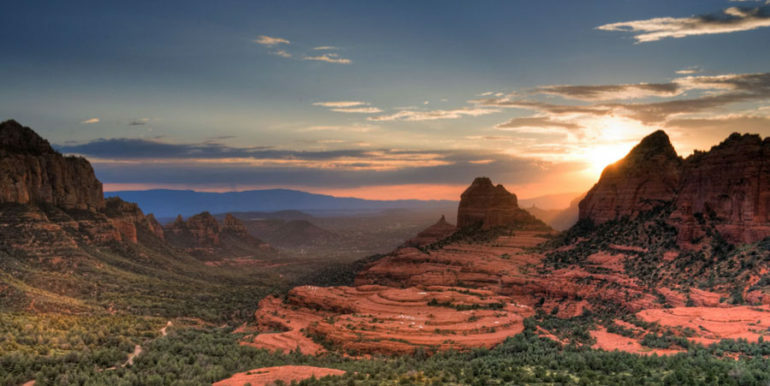 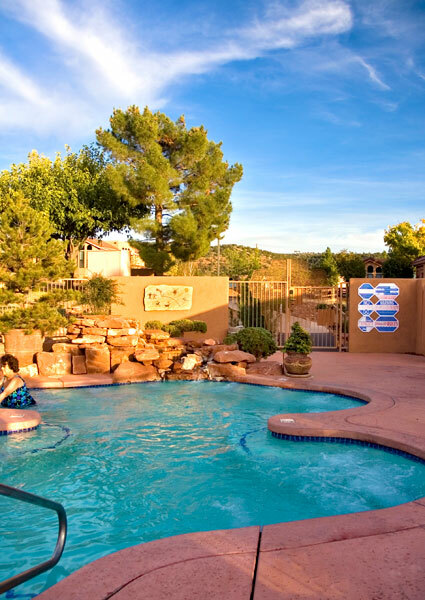 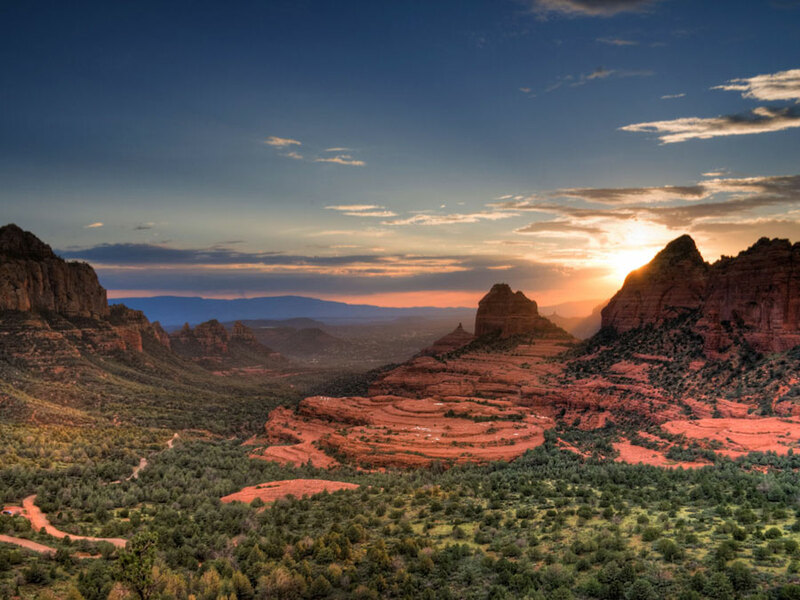 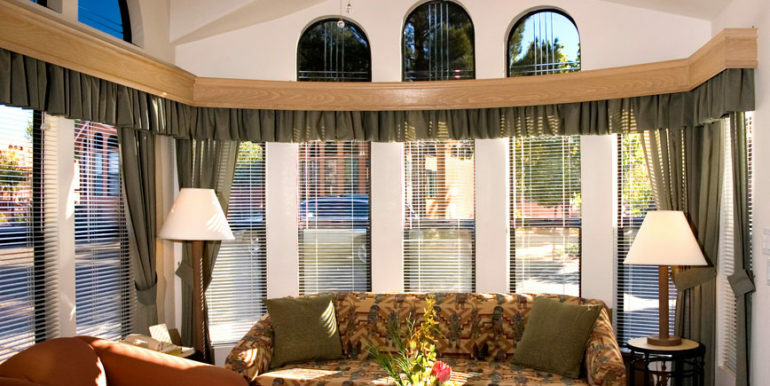 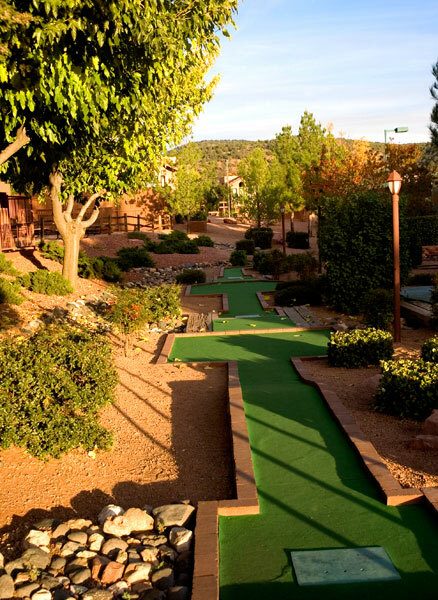 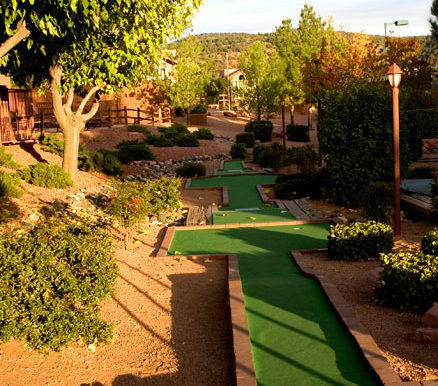 Whether you’ve spent the day hiking up a mountain, biking, visiting every art gallery in Sedona or just relaxing around the pool, you have a perfect place to rest up for the next day’s adventure at Sedona Pines!